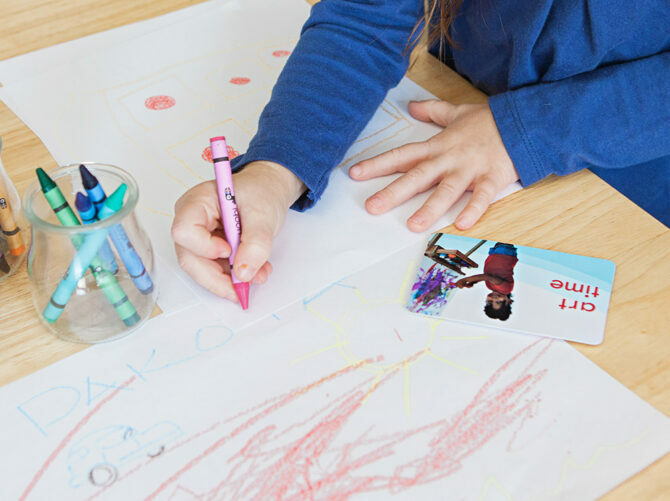 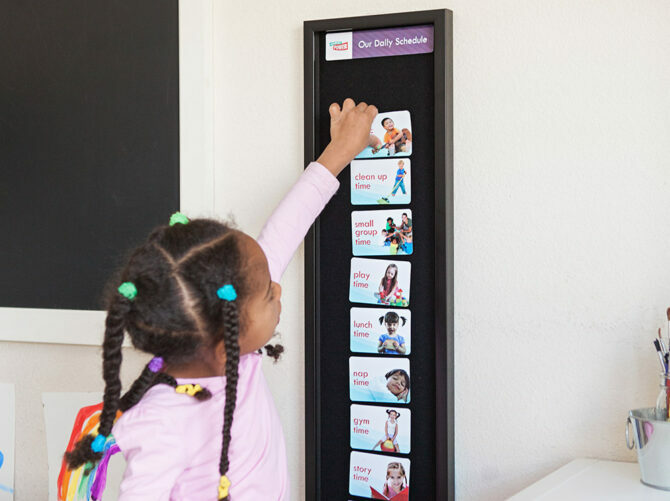 Our Schedule Power Preschool Kit shows children the plan for the day so they can manage emotions, transitions and expectations. 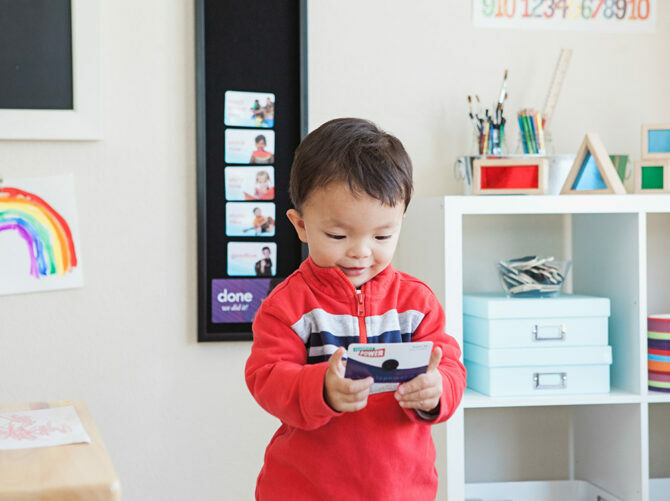 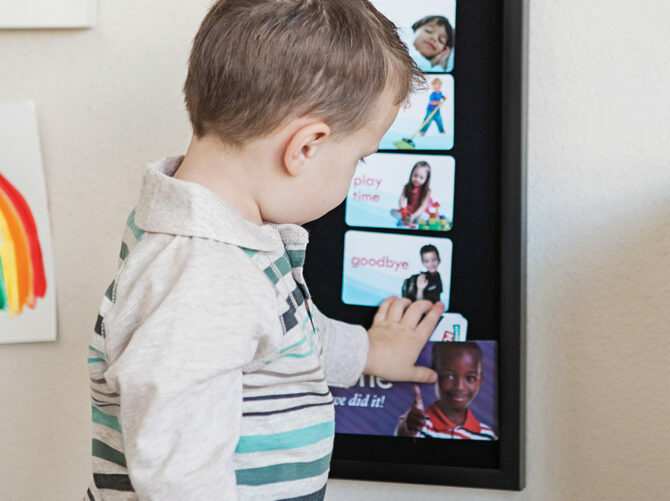 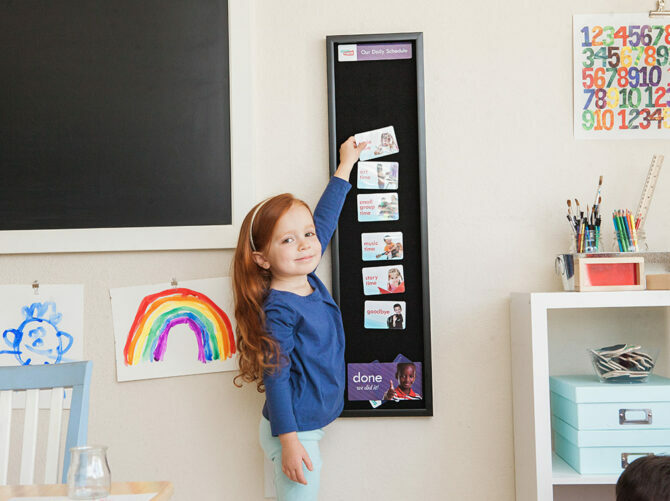 Create your personalized daily schedule on our framed Velcro board. 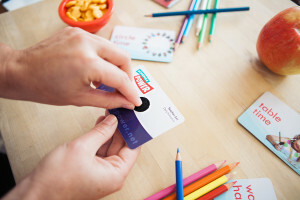 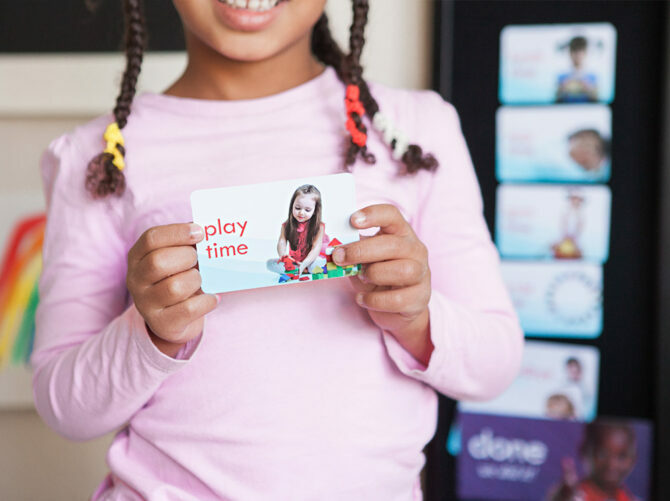 Select from 19 typical daily activity cards for use in preschool, daycare or other childcare settings. 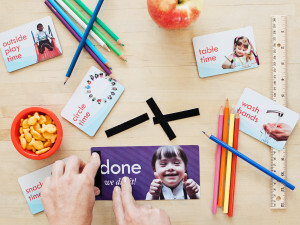 The kit also includes 5 blank activity cards for individualization. 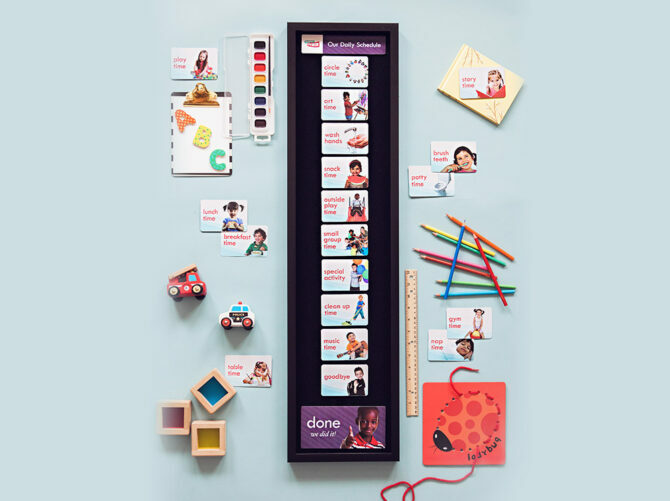 Our done pocket system stores each activity card as your class completes it, letting your schedule board clearly reflect what the class is currently doing and what is coming next. 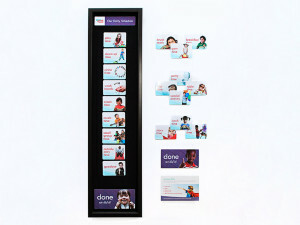 too loud –show when will be a time to go outside or be loud.